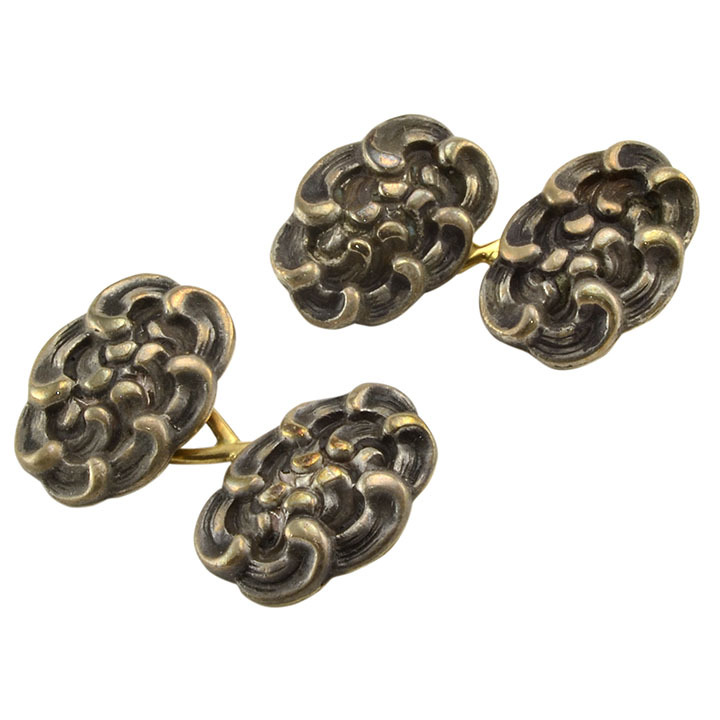 Antique Tiffany & Co 18K gold and sterling silver cufflinks, circa 1900. 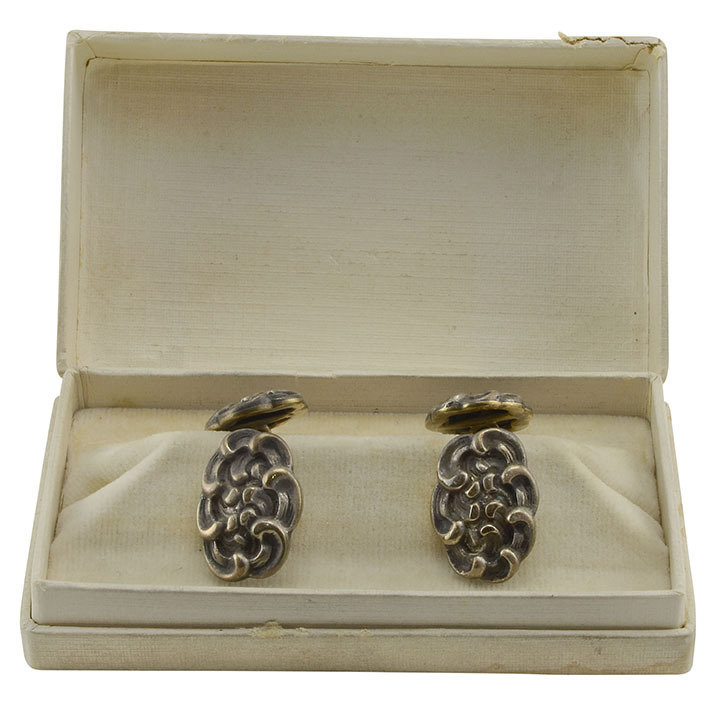 These Tiffany cuff links are made of 18 karat gold and sterling silver. 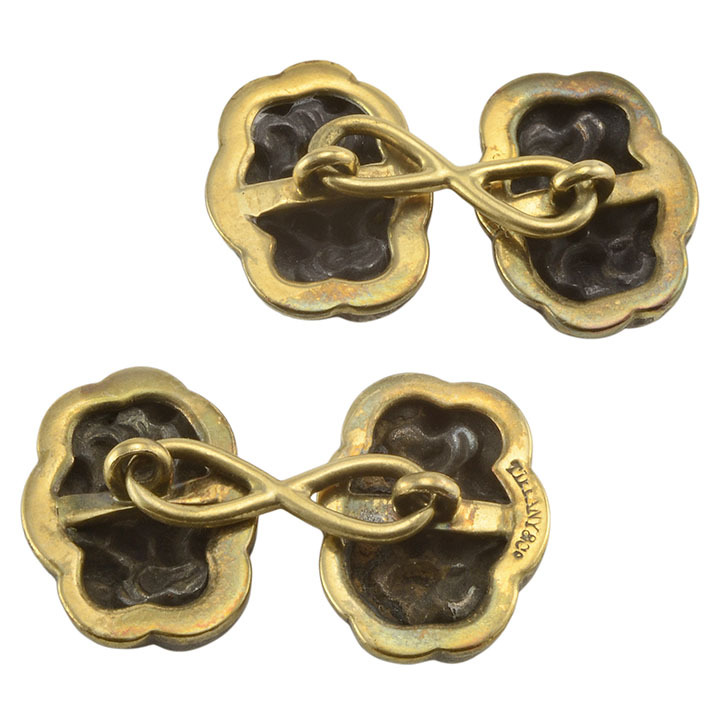 The antique cufflinks are signed Tiffany & Co.
Charles Lewis Tiffany & John F. Young opened Tiffany & Young in 1837, 180 years ago, in New York. 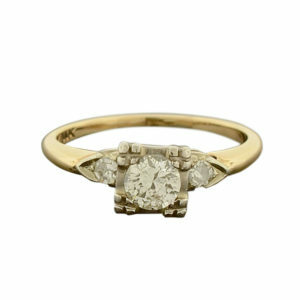 The store’s success grew and in 1845 they ceased creating costume jewelry and began to focus on the art of fine jewelry. 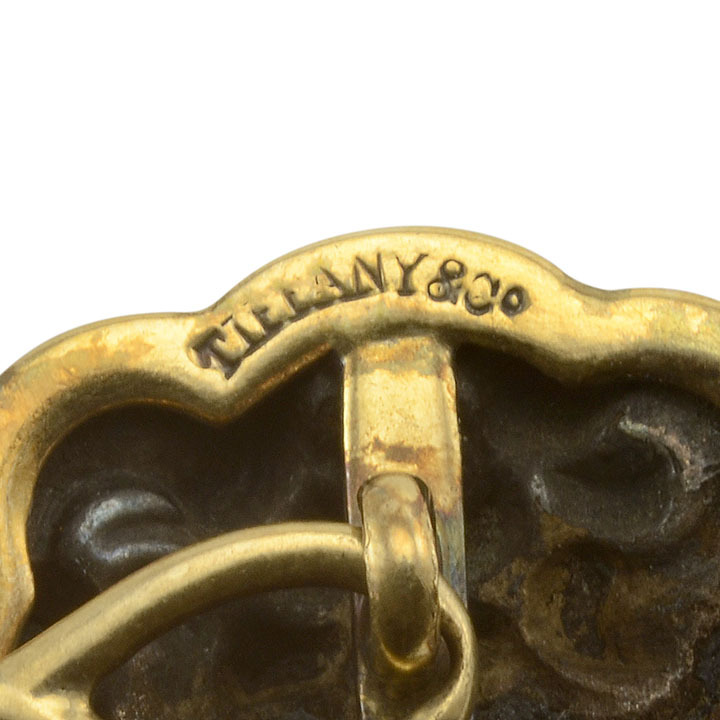 Tiffany published its first Blue Book in 1845. 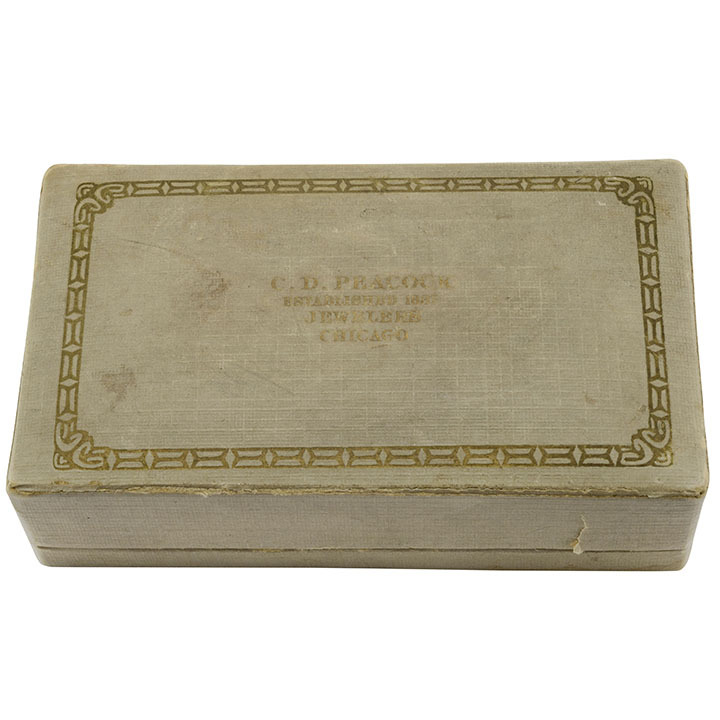 This was the first mail order catalog in the U.S. Tiffany began producing silverware in 1847. 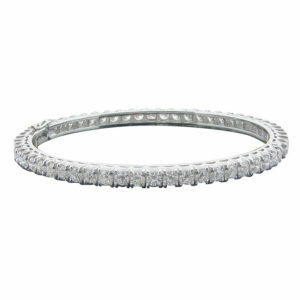 In 1851, they became the first American company to adhere to a 925/1000 sterling silver standard. Tiffany received their first international recognition at the Paris World’s Fair in 1867 when the company achieved the Grand Prize for silver craftsmanship. It was the first time an American company had won. Tiffany & Co. was America’s top silversmith and purveyor of fine jewels and timepieces by 1870. 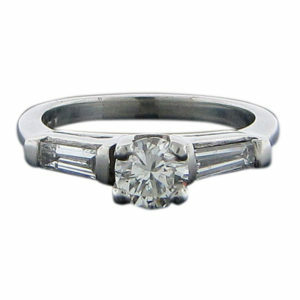 Tiffany introduced the engagement ring, as we know it today, back in 1887. Charles Tiffany died in 1902. Louis Comfort Tiffany was Charles’ eldest living son. 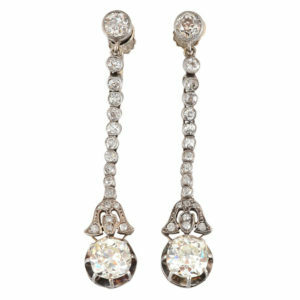 In 1902, he was named Tiffany & Co.’s first official design director. He later founded Tiffany Studios, which was a separate entity from Tiffany & Co.